Christmas is over and this year it was a good one in the Richardson household so I have really enjoyed the break from blogging. However, we are now starting a new year so Plymothian Transit restarts from today. I have to start by thanking people for dropping in and actually reading my little blog. I still look back in wonder that so many people seem to think the site is worth a visit. Way back in 2007 I recall being excited to see that one month I had more than 100 visits. This has grown and 2009 started averaging abut 2500 a month, then over the summer it jumped to about 3500 a month and then in October it hit 4500 a month. I am sure I have to thank Plymouth City Council for much of the growth as the long running saga over the sale of Plymouth Citybus brought in lots of visitors to the site. 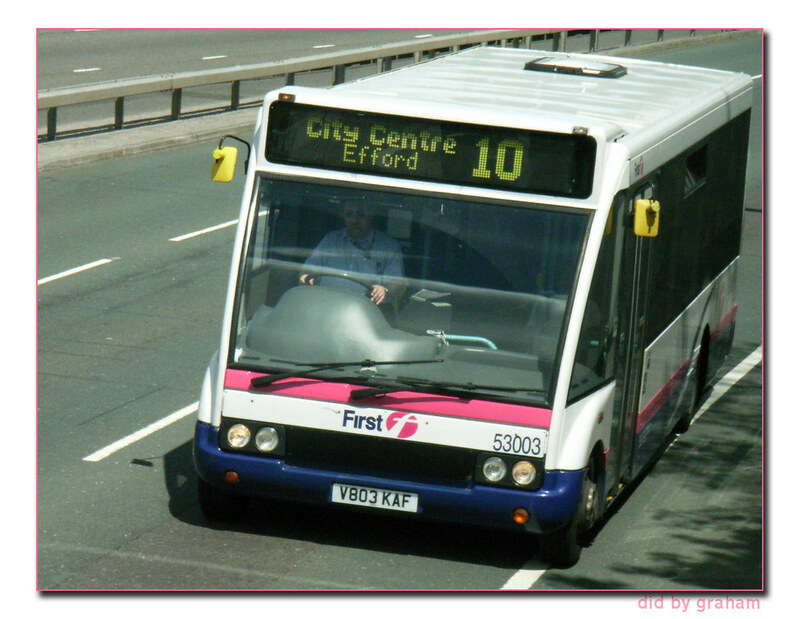 A few of the 'highlights' from 2009: January 2009 started with First cutting back on even more routes in Plymouth with the 17 being withdrawn from Glenholt and the 10 being given up to be replaced by Target Travel. The newly launched Plymgo web site was given a full review which noted some promise. I will be revisiting this service shortly to see what (if any) progress has been made. February started badly with a nasty accident on FDC service 93 and Target Travel also seeing a nasty accident a few days later with one of their coaches. First received more Tridents from London, although most of these were for North Devon or Cornwall. March: Amey invest in their recently privatised council Highways fleet. I get a new bus stop flag(!) and Stagecoach spin a fare increase. April: I dream big for Target Travel as my April fools joke. Atlantean TCO537 arrives back home. Target cant spell. May: The Royal Albert Bridge gets a make over for its birthday. Map of the officially secure stations. Citybus put up for sale! June: Scania demo for Citybus. Taxi boss want to buy Citybus. The City Council plan major cutbacks to the subsidised network. Big plans for the Derriford Hospital / Northern Corridor are announced. The second half of 2009 follows tomorrow! 07:21 Services 81/81A subject to delay as a result of one ferry being out of operation. Please accept our apologies for the inconvenience. 11:59 JANUARY SALE! Save upto £75 off select First3&6 month passes - now available online! 14:25 Most services finish at 8 tonight. Please see the website for full details. Have a great night! 14:34 First in Devon and Cornwall would like to wish everyone a Happy New Year. 14:42 Traffic's busy in the City Centre with the sales and the bad weather. Buses passing the Drakes Circus mall are experiencing short delays due to queueing traffic. Things certainly flow better when the Police are present to stop cars causing the obstruction. Hopefully we won't keep you waiting for too long. 14:46 It's a Saturday service again on Wednesday 30th December - this is more or less the same as weekdays bar some early morning and works journeys. 14:27 On January 2nd Argyle v Newcastle at Home Park We will be running our football specials to get you to this exciting FA cup match GREEN ARMY! Plymouth Citybus wishes everyone a safe healthy and happy new year! Have a great time tonight! 13:55 Plymouth Citybus wishes everyone a safe healthy and happy new year! Have a great time tonight! 15:38 We will be back to take you for some retail therapy on January 2nd 2010.